Attention first time home buyers & investors! 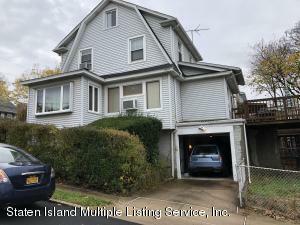 This detached 2 bed/1 bath colonial in Clifton is waiting for its next owner. Original details abound in this nearly century old home, such as original wood floors & stained glass windows. Main floor offers separate living/sitting room, formal dining room, & eat in kitchen with sliders to large raised deck. 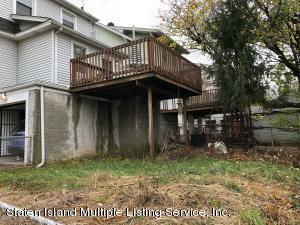 Upstairs has 2 ample sized bedrooms, full bath, and finished attic that has tons of potential - can be used as office, den, or even a 3rd bedroom! Unfinished basement has high ceilings, and access to 1 car garage. 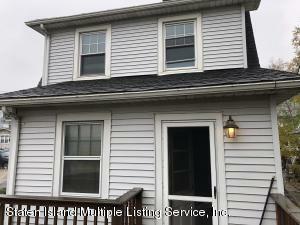 Pride of ownership shows inside & out w/ well maintained wood trim, updated siding, newer windows, & more. 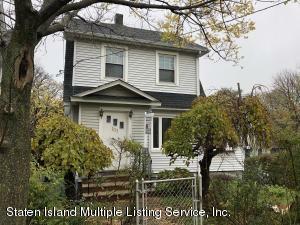 Quiet block in convenient location, close to trains, buses, and ferry.